The Board of Governors is made up of representatives from the community, parents and from College staff. They work very closely with the Principal, Jan Atkinson, and her senior leadership team to ensure that students receive a quality education in a safe and welcoming environment. Whatever course or programme that your daughter/son undertakes at the College, we want to be sure that it is a quality experience with successful outcomes. The Board of Governors would like to encourage you to take an active part in your child's education by ensuring that attendance is good, there is a commitment to study and that you attend parents evenings and College events. We are sure that your experience with the College will be a positive one. Please contact Sue Young, should you wish to get in contact with or require any further information from the Board of Governors. Unless otherwise specified all governors have declared that do not have any business or financial interests, neither are they governors of another school. Governors are expected to serve a four year term, Governors are to resign before the full four year term if they so choose, Governors are also free to run for another term. Governors are selected in accordance with DFE Academy Governance guidance. This includes appointment, peer recommendation, application or appointment via vote. Further information can be found in the terms of reference attachment below. 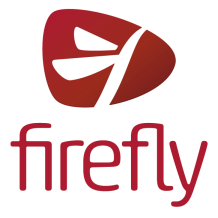 Governors have access to a secure environment hosted on Firefly VLE. You can find a copy of the Governance Handbook (January 2017) below as a downloadable attachment or by clicking this link.